Published in Cyber Security & Compliance on 09/18/2017 by James Harrison. Cyber criminals have hacked the credit reporting agency Equifax, exposing personal information of over 143 million consumers including Social Security Numbers, date of birth, addresses and some driver’s license numbers. A large percentage of all adults in the U.S. were impacted, as well as hundreds of thousands in Canada and the UK. This massive data breach is perhaps the worst in history because of the sheer number of people involved and the type of private information exposed by one of the 3 main credit reporting agencies. With the size of this breach, it’s safe to assume your personal information has been compromised. However, Equifax has set up a website that allows consumers to check if their name is on their current list of people impacted. You’ll need to enter your name and the last 6 digits of your Social Security number. During this process you are also offered to enroll in Equifax’s free 12-month credit monitoring offer. Many experts discourage this however, given the fact that Equifax is the source of the data breach and having them monitor your credit or identity information may not be a wise decision. Even if the Equifax site suggests that you weren’t compromised, don’t be lulled into a false sense of security. This preliminary list is not complete. It’s predicted that virtually ALL ADULTS in the U.S. have been impacted. Also, just because nothing looks amiss on your bank statements or your credit report now, that doesn't mean you haven't been compromised, and doesn’t mean you shouldn’t always be monitoring for ID theft problems. In today’s digital age, continually monitoring for ID theft is essential to protecting your financial future. According to recent statistics, there’s a greater than 50% chance your personal information has already been exposed in one or more recent data breaches like this one. 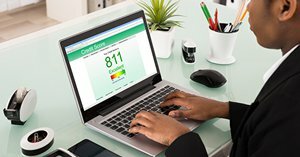 Some consumer advocates also recommend placing a fraud alert or credit freeze with the credit bureaus to lock down your credit, but these steps are 90-day temporary measures and the bureaus typically charge fees for things like a credit freeze. Don’t panic! Keep a positive, proactive attitude. Having your data exposed through data breaches is just ONE way you can become victim of identity theft and cybercrime. You can also get computer viruses, ransomware, and other malware that infects your computer and steals your private information. Your email can be compromised and used to capture private information. Social media networks like Facebook are being used by criminals to find out private info about people they want to take advantage of. Make sure you watch your bank and credit card statements for unauthorized transactions. Be aware of fake email scams (phishing), phone scams, and pay attention to even minor computer problems. Watch for alerts from your ID theft monitoring service. Act quickly if you see any unusual activity in any of these areas. Contact your identity theft resolution provider for personal assistance in dealing with any identity theft problem.